Two older lesbians, Meg, a writer, and Joanna, an artist, have joined their lives. Now they search for ways to accommodate each other’s lifetime of established and independent habits, and their individual and complex histories. A history that intertwines with events personal and profound: marriage, children, Vietnam, loss, and lives spent in the closet. 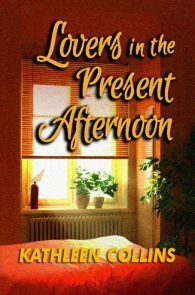 Their present lives hold fear: the two women and their trust in each other are being menaced by a homophobe who strikes during the night. 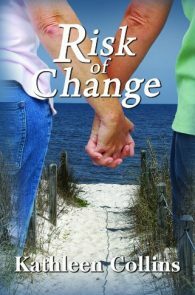 Reminiscent of Jane Rule’s great classic Memory Board, Risk of Change is a novel rich in its portrayal of older lesbian lives . At its heart it is a love story, an involving and moving depiction of a deepening relationship and the ordinary events and crises of life, and two very different women in their later years who lead active, energetic lives, and struggle to combine their working lives with their commitment to their love relationship and integration of the history that brought them together.